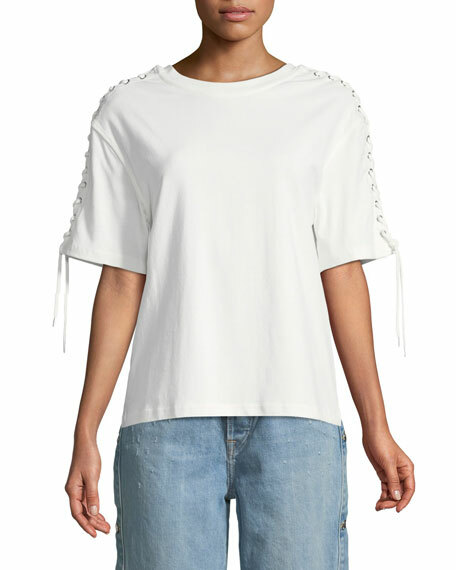 McQ Alexander McQueen cotton top. 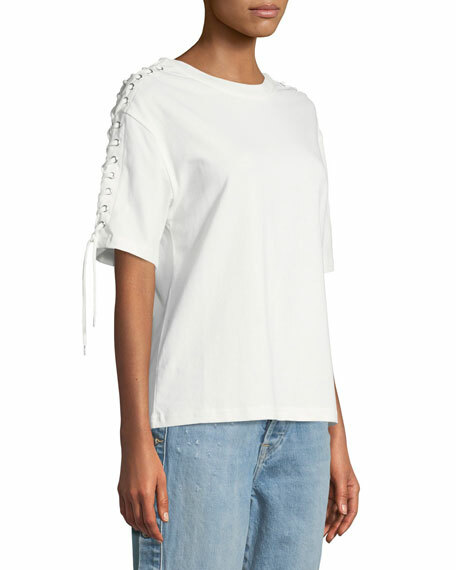 Formed in 2005, McQ is a contemporary brand from Alexander McQueen. A uniform for youth, McQ offers a 24-hour wardrobe of womenswear, menswear and accessories. Provocative and irreverent, the collections draw inspiration from urban streetwear and youth subcultures, with biker jackets, oversized knits and vintage punk prints. For in-store inquiries, use sku #2498024.